Eversince WordPress CMS was launched in 2003, it becomes quite easy to create and manage feature rich amazing websites. PSD is the format of file and is also very popular as with this the designers can create incredibly beautiful pages of websites having awesome look and feel. Therefore PSD to WordPress Theme conversion has become very popular as by this process we can get an attractive and feature rich website alongwith many benefits. Right now more than 27% of all the websites on internet have been built using WordPress CMS. Hence if you want to get full benefits of WordPress then follow the process of PSD to WordPress conversion. This is an important step and needs to be accomplished cautiously. PSD to WordPress conversion can be the factor which can attribute to the succes of your website. Before starting the development work, it is standard to prepare the site design in the Photoshop or PSD format. When all of the required changes are made, the design is implemented on WordPress for smooth development. This task is very important if you want to get the best quality of final website. Now I will discuss about the main advantages of converting your PSD to WordPress theme. You can Hire WordPress Developer if you also want cross-browser compatible website. PSD files cannot be accessed from the browsers. Converting PSD files into WordPress will lead your website to be accessed from all major browsers like Chrome, IE, Firefox, Safari etc. The greatest and most popular websites are always accessible on all browsers. By converting your PSD files into WordPress, your website will also come under this category. Thousands of WordPress plugins are available mostly for free at the WordPress repository and you can use them to add as many features in your WordPress as you want. You can easily search your required plugins and install them directly from your WP-Admin dashboard without changing any source code. You can also customize these plugins as per your requirements. Hence by converting your PSD files into WordPress theme, you will get all of these benefits. If your website has inbuilt SEO friendliness and clean permalink structure then it will be very useful for getting higher search ranking of your website. WordPress has inbuilt SEO tools and very clean codes. Hence you can easily get higher rankings on search engine result pages by optimizing your website directly from WP-Admin. Also you can install so many SEO friendly plugins to enhance the ranking of your WordPress site in search engines. Pixel perfect means each pixel of the design of the page is converted into perfect WordPress theme. There are thousands of free themes available for WordPress on its repository and all of these themes or PSD files are sliced perfectly without loosing any pixel of the design. Hence converting your PSD to WordPress theme will get you a pixel perfect website for your business. WordPress websites are very easy to use and manage even for a non-technical person. One can easily modify or edit the content or upload the new content or upload new images from the dashboard. The structure of WP-Admin dashboard is very easy to understand and manage. Hence once your WordPress site is ready even you can manage it without the help of developers. 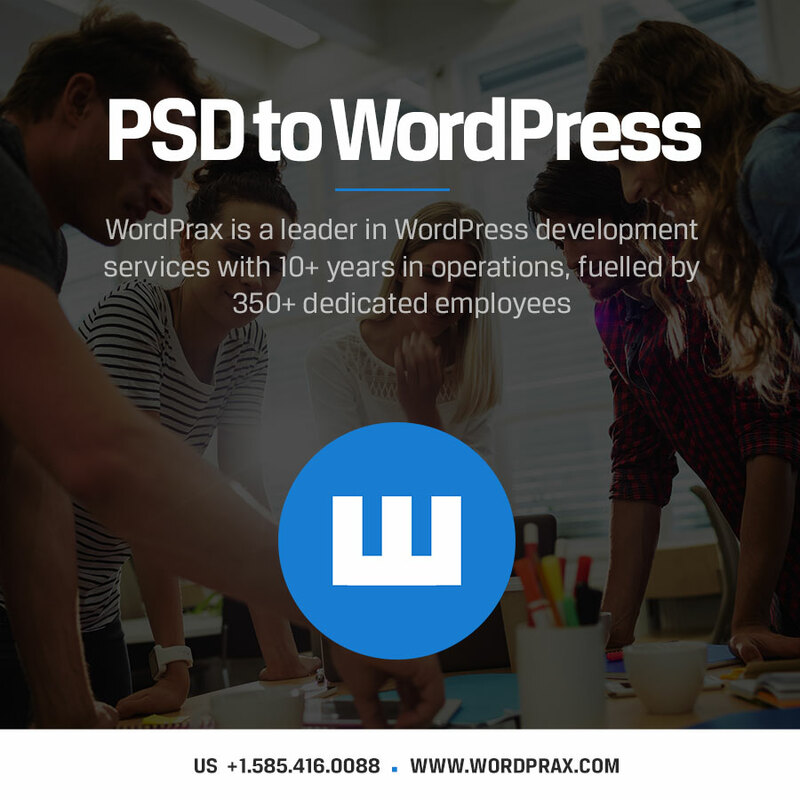 As we have just discussed there are so many benefits of having a WordPress site and you can only get these benefits if you convert your great looking PSD files into WordPress CMS. Your WordPress will be SEO friendly, flexible, customizable, scalable, versatile, fast, cross-browser independent, pixel perfect and also W3C complaint and will open the door of success for your business through your newly converted WordPress site. Category: psd to wordpress, WordPress Developer and tagged PSD to WP, wordpress developer by The WordPrax Editorial.